Stephen Oliver’s voice packs all the tonal shifts of a heavy-duty gearbox. The resonance is bedrock; Richard Burton, Dylan Thomas, Ken Nordine rolled into one. Matt Ottley’s compositions make for a collaboration of high originality, moving effortlessly through modern classical, rock, blues, and jazz notation. Oliver’s poems challenge, delight, and entertain. Beat for beat, groove for groove, Oliver & Ottley perfectly counterpoint one another. The words and the music deliver exactly what this recording promises: a King Hit. Elsewhere has always had a soft spot for poetry/spoken word and interesting writing, and in the past has posted from the likes of Selina Tusitala Marsh who is a compelling Pasifika voice, and from the AUP book/double disc Contemporary New Zealand Poets in Performance, as well as posting interviews with, or articles about, writers such as Beat legend Lawrence Ferlinghetti, black-British reggae poet Linton Kwesi Johnson, revolutionary US writer Amiri Baraka and others. In fact we have a whole section of this on-line magazine dedicated to Writing in Elsewhere. 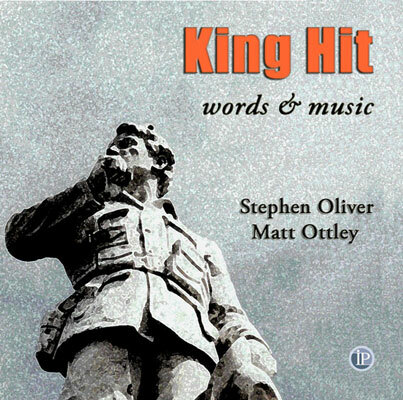 Perhaps this collection by writer/broadcaster Oliver could more correctly be in that section, but the music by Australian multi-instrumentalist Matt Ottley is so integral to the conception that we acknowledge it here. Oliver has spent so much time in Australia (and elsewhere) that although he is much published, he is barely known here -- yet there is something immediate familiar about his voice: it has the authoritative tone of a news-reader (well, one from days gone by I suppose) and indeed he has made a living doing voice-overs and the like. This is poetry with the impact of a news report ("Emblem for Dead Youth"), base politics grabbed by the throat and shaken ("Stalin's Cotton Socks"), descriptive phrases which are instantly memorable ("a Delft-glazed moon") and references with a global reach ("Hania", "A Simple Tale") which never talk down to the listener. Earthy but intellectual, considered and gripping. And with baroque piano figures, rock guitars, driving percussion, cello or exotic oud from Ottley --as well as soprano Hester Hannah in a couple of pieces -- this is poetry as music in your ear. Not always easy, never pretentiously arch, this is a collection that reveals its many layers slowly -- and will take you on many (and diverse) journeys. Stephen Oliver grew up in Brooklyn-west, Wellington, New Zealand. 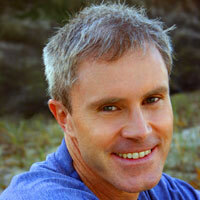 He has travelled extensively and up until recently lived in Australia for 20 years. 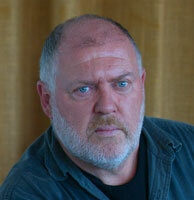 His most recent collection of poetry is Either Side The Horizon (Titus Books, Auckland/Sydney, 2005). He has worked in the broadcasting industry in Australia and New Zealand, freelancing as production voice, newsreader, feature writer, copywriter, producer, etc. His next collection of poetry, Harmonic, is due out from IP in 2008. Matt Ottley grew up in the Highlands of Papua New Guinea where he spent the first eleven and a half years of his life. He lead an itinerate life as a stockman in Queensland before returning to Sydney to study fine arts and music. He is regarded as one of Australia most popular children’s authors/illustrators with such classics as What Faust Saw, and Mrs Millie’s Painting. His books are published in several different languages. He is also a composer and flamenco guitarist. a circle, under the yellow glare. behind the whistling pine grove. 'A Simple Tale':, written and read by Stephen Oliver, images by Christian Frei, music by Matt Ottley, film composed by David P Reiter.